Imagine horses... Africa... wildlife... combine those and you have one amazing project! You will expand your knowledge about working with horses and improve your riding skills, as well as spend time in the bush acquiring knowledge about South African wildlife. Take the horses for a swim in the dam, go on a game drive to see lion and elephant, sit around the campfire and listen to the African night sounds…and sooo much more. You’ll get to experience the beauty of South Africa and live your African Dream! The programme is carried out at an equestrian centre situated within a 420 ha wildlife estate bordering a lovely little town with ample facilities, and in close proximity to Kruger National Park. The estate has Leopard, Hyena and most of the herbivores, carnivores, omnivores, reptiles, snakes, primates, various species of cats, birds of prey, vultures, birds, insects and their relatives that you find in the Savanna biome. During the walks, drives and outrides, you’ll almost always see a variety of animals. The accommodation is situated in a nature reserve which is part of the Greater Kruger, and is the home of the BIG 5 (lion, elephant, rhino, leopard and buffalo), as well as many other animal species. During their stay at the project, volunteers will go on game drives and night drives to see the tremendous variety of wildlife. The programme contains all aspects of managing an equestrian centre within a natural environment. The team wants to put the emphasis on having an awesome experience and therefore duties such as cleaning out stables, maintenance work, or work in the bush are NOT part of the programme. The focus is fully on care for the horses, improve riding skills, and enjoying and learning about nature and conservation. The owner of this project is a devoted guide, accomplished competitive rider and dedicated conservationist. Together with her team she aims to give volunteers the experience of a lifetime! Weather permitting, the weekly schedule will combine equestrian with nature, where you will either be at the stables or in the bush. Weekends will include one of the various optional excursions, a night at the local bar/restaurant for a party and a braai/barbecue around the fire. Every Wednesday, volunteers will spend some time helping out at 1 of 2 local non-profit charity organisations, a community based project and an animal shelter. A fair amount of free time is also made available, which one can use either to catch up on their personal requirements such as Facebook, Skype etc., or simply to take in the beautiful sights and sounds of their surroundings. 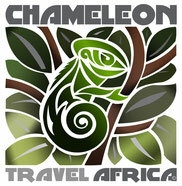 Accommodation is provided in comfortable chalets on a neighbouring 'Big 5' reserve. Each room accommodates 3-4 students and each has its own en suite bathroom. Linen is provided, but bring your own towel. A separate kitchen/boma/fireplace overlooks a waterhole in the bush, where one can enjoy a meal or simply spend your time relaxing with a book or sitting around a campfire, while a variety of game come down to drink. The kitchen is fully stocked for a self-service breakfast and lunch and suppers are prepared by volunteers in the evenings. There is also a swimming pool nearby for those hot African days, surrounded by wooden decking and overlooking the bush. Available spaces fill up quickly. We therefore advise to book well in advance (at least 9 months)! Please do not hesitate to contact us for available spaces or any other questions you may have! Age: The programme is aimed at volunteers between the ages of 18-30 years old, but anyone is welcome! Data: Arrivals and departures each Friday. The project is open throughout the year. Minimum stay is 2 weeks. We recommend a stay of 4 weeks to take advantage of all the project has to offer.